ROANOKE, Va. - The National Weather Service in Blacksburg issued a High Wind Warning for the Roanoke Valley, along with Floyd, Carroll and Grayson Counties. This does include the City of Galax from 6 p.m. Saturday through Noon Sunday. Areas under this warning have the potential to see overnight wind gusts on the order of 45-60 mph. All other areas west of the Blue Ridge Parkway have been put in a Wind Advisory for wind gusts of 30-45 mph. 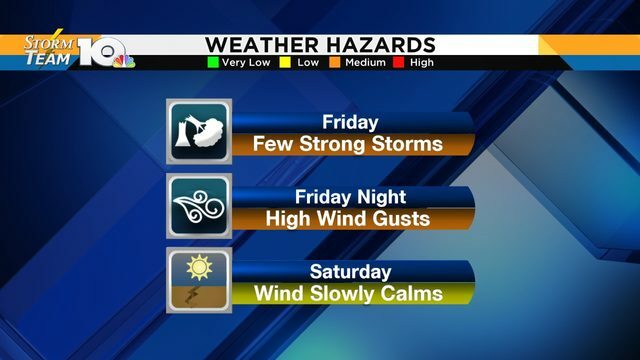 This gives us a good heads up to bring a few outdoor things indoors, such as empty trash cans, outdoor furniture, hanging baskets, wind chimes, or Halloween/fall decorations. If you have a basketball hoop that you can lay down, you might want to do that as well. Lastly, make sure you have a charged phone or flashlight, as scattered power outages will be possible overnight. 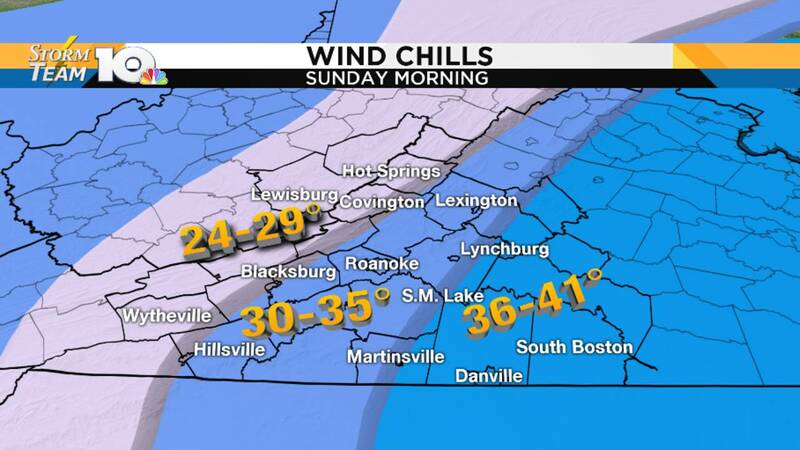 The combination of this gusty wind and cold air will make things feel a little raw at times early Sunday morning. It will feel the coldest in the Highlands, Mountain Empire and New River Valley. Bundle up, as you head out the door Sunday. As many of you may have also heard, there's another facet to this system - snow. Before you freak out, understand that most of any accumulating snow will be above the 3,000 foot level in Greenbrier and Pocahontas Counties between 10 p.m. and mid-day Sunday. Most of southwest and central Virginia won't see a thing. While a few flurries or light snow showers may spill over into the Alleghany Highlands or Mountain Empire, the 1-3" snow range will mainly be around the Snowshoe level. Otherwise, it will just be plain cold and breezy for us Sunday. Despite the fact that we'll see plenty of sunshine, high temperatures will have a hard time getting into the 50s. 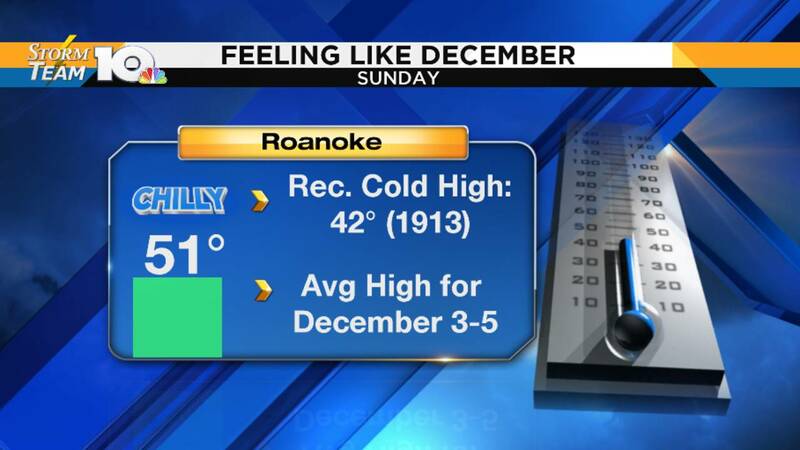 Our forecast high of 51° for Roanoke is the "average" high for early December. We'll see calmer winds and areas of frost developing late Sunday night into Monday, with temperatures recovering into the 60s by Monday afternoon.